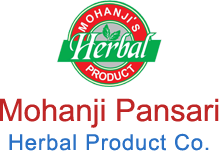 Mohanji Pansari Herbal Product Co. has ideally blended the science of ancient Indian Ayurveda with modern scientific research and validation techniques for the Herbal Products to be at par with modern medicine. The company is thus known as an eminent Manufacturer and Supplier of premium Herbal Products in India. The variety of our Herbal Products encompasses Herbal Medicines, Havan Samagri, Digestive Wellness Powder, Piles & Fissure Care Powder, Heart & Cardiac Wellness Powder, Skin Care Products, Dental Care Powder, Veterinary Medicine, Hair Care Products, Cold n Cough Syrup, Sexual Wellness Medicine, Pain Relief Medicine, Multi Purpose Powder, Stone Remover and Diabetic Care Medicines. The company strictly follows the set GMP standards while producing and testing these Herbal Products. Established in 2000, the company commenced its operations initially by launching and supplying a range of traditional Ayurvedic Pharmaceutical Preparations to the local market after developing quality plans for standardized batches conforming to the quality standards required by the authorized agencies. This range of products consisted of traditional medicinal preparations such as Arishtas, Asavas, Kwathas, Choornas, Oils, Rasayanas, Avalehas, Grithas, Gulis, and Syrups etc. The company distributed its range mainly to the ayurvedic physicians, ayurvedic pharmacies, hospitals and clinics, ayurveda resorts and hotels, etc. The initial responses on the quality and the prices of the products from the customers were very much encouraging. The company is promoted by those who are convinced with the use of Herbal Products in prevention and treatment of health disorders. The encouraging results have spurred research and development to produce Herbal Products in a facility that meets diverse requirements.